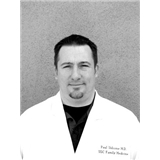 Paul Usborne (Covina) - Book Appointment Online! We are conveniently located in downtown Covina, right next to Intercommunity Hospital's ER. We offer extended hours, accept same-day appointments, and walk-in's are welcome (based on availability.) We believe that patients are people, not numbers! NOTE: USBORNE FAMILY MEDICINCE USES THIS SITE FOR NEW PATIENT SCHEDULING ONLY. IF YOU ARE AN ESTABLISHED PT. PLEASE CALL OUR OFFICE. Dr Usborne was extremely informative. He made sure that I was at ease with the issues I am currently facing. We also made sure that we were taking the necessary steps to get me back to perfect health. He was very detailed and made sure I understood everything.